Well, no one ever says teaching will be easy. So I guess it's no surprise to most of us to discover how totally integrated our personal and professional lives can become in this career, and how tricky that can be. Though I usually focus on creative teaching strategies here, I wanted to write this time about some of the major challenges and transformations I have experienced in my career in education. Sometimes the end of the year is the perfect time to pause and consider whether what you are doing is working well for you, or if you might need to do some pivoting so that you can be happier. One of my teacher friends is leaving the profession this year. Another is switching to a new position in a new district after a brutal struggle with an intolerable workload. Another is going back to work after several years off with her young children. How about you? Will you be returning to the same course load in the same classroom with the same boss and the same colleagues? Probably not. You'll probably be adjusting to new situations and figuring out how to do your best and be your most fulfilled in a new context. In each of the stories I'm sharing today, I hit a wall. But every time, I was able to find a way over or break through. Sometimes it took a while! I hope reading them will help you do the same. Fresh out of college at twenty-two, most people on campus thought I was a student when I showed up to my new job teaching eleventh graders. But boy did I feel prepared for my first day. No furniture in the living room yet! But I was ready for day one. Professional looking pencil skirt? Check! Brand new leather messenger bag? Check! Dozens of photocopied syllabi, ready to share? Check! As my first group of students walked in the door, I smilingly handed around my syllabi and began "going over it." I had heard that going over the syllabus was important so that everyone would be on the same page as the year began. Wrong. Within thirty seconds, I had already lost my students. As the minutes ticked by and I read my academic dishonesty policy aloud, my internal monologue went from chirpy to despairing. I had already failed as a teacher. I would be continuing to fail, in exactly this way, all day long. I had no back-up plan. At the end of the day, I laid on the floor of my office crying. It was undoubtedly the worst day of my teaching career so far. I wondered if I would have to quit and get a new job. My family lived thousands of miles away, and all my college friends had just moved on to their new jobs. I didn't exactly feel like I was rolling in options. Plus, I wanted to be a teacher! I just didn't want to stink at it. Never again, I promised myself. I would never get stuck talking about something that bored my students while I died on the inside. Little by little in those first months, I figured out how to structure class so the students were busy with their own creative pursuits. I peeked in on literature circles, facilitated poetry slams, cheered on class plays. I shared information through web quests and video clips, articles and activities. I did NOT lecture. It just wasn't me. In one fell swoop, my first day of teaching showed me what kind of educator I was not. And from there, I quickly discovered what kind of educator I AM. 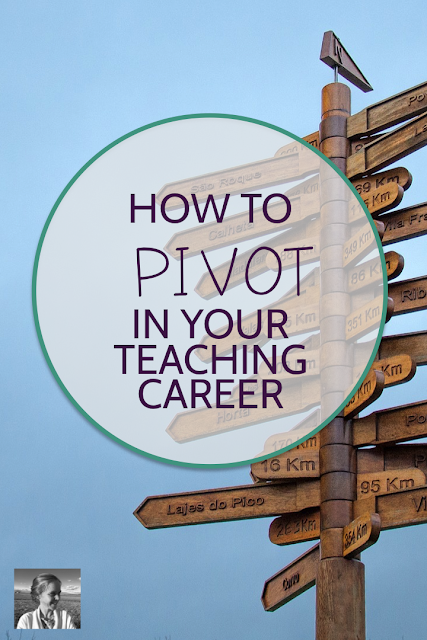 I was able to pivot, and very quickly I began to enjoy teaching the way I hoped I would. At the end of my first year, I sat outside on the steps of my house. I had just written a "13 Ways of looking at Life" poem alongside my students, modeled on Wallace Stevens' poem, "13 Ways of Looking at a Blackbird." As I read and tweaked it, it was obvious to me that I was falling apart. I had worked thirteen and fourteen hour days for most of the year, and I could hardly remember what it was like to feel rested and have time for the things that would renew me. Again, I wondered if I'd have to leave teaching. I felt so close to my students. One of my sections had said goodbye with a standing ovation on the last day of school, leaving me teary and so happy to be a teacher. Yet I wondered if I could really do it. How could I ever meet someone? Fall in love? Have a family? Or even find time to go to go to the grocery store regularly? The seven am to ten pm schedule was not working out. So that's when I made the list, underlining everything a lot and tacking it to the center of my bulletin board. What was on it? Good question. About twenty bullet pointed boundaries I was going to have to set around my life and time moving forward. Basically, it was a survival guide to teaching, scrawled out on the last day of school in very bold print. To be honest, I've probably never been a better teacher than I was before I made that list. But that list allowed me to have a year two, and a year three, and so on. 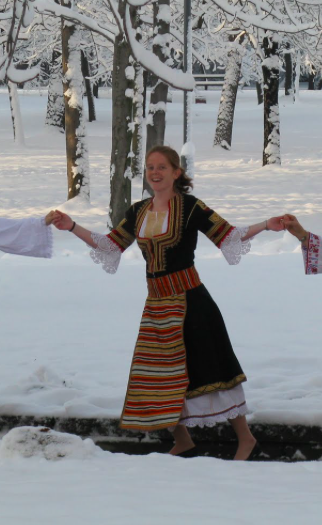 After four years in my first job, I got married and moved overseas to Bulgaria to teach at an American school there. Having learned already what kind of teacher I was and how to take better care of myself, I wasn't too worried about the professional aspects of the move. I was pretty nervous about moving to a new country, but I figured my pedagogy would hold up. Wrong. While my students were not so different from my American students, the fact that they had grown up speaking Bulgarian instead of English was not something I could just ignore. They liked English literature just fine, but how could I ever hope they would be as passionate about it as they were about Bulgarian literature? I wanted to connect better with my students, and I wanted to share my love for English books. But I didn't know how. Finally, in the spring, I ordered Nancie Atwell's The Reading Zone, quickly read it cover to cover, and launched an independent reading program. Suddenly my students were diving into J.K. Rowling, Nick Hornby, Agatha Christy, and dozens of other wonderful English-speaking authors. We had a reading contest and they read thousands of pages for fun. They started to talk to me about their books and we became closer. Now I ALWAYS have an independent reading library in my classroom. Though it began as a way to connect with my Bulgarian students and develop their love of reading in English, it turned out to be just as valuable in the United States. Well, it's an embarrassing section title, but true. Luckily you already know I'm going to manage to pivot, based on the theme of this blog post! My first year in Bulgaria, I had to teach 1984. Can you imagine teaching such an overtly anti-Communist book in a nation that has recently come out from a long period of Communist rule? Well, I just taught it the way I would teach any other book. But then the awkward discussions, anguished looks on students' faces, and general trauma of the unit got my attention. My students did NOT like reading 1984, and they did NOT like the way I was teaching it. Gradually, as I got to know them and their families and their country better, I understood why. My number one priority really needed to be to set up a safe way to talk about the book. We needed to go deep into propaganda, history, the influence of literature, and personal experiences. We needed to be good listeners and to respect a huge variety of opinions. While one student's grandfather was "disappeared" by the Bulgarian Communist party, another student's mother had been the Communist leader's translator. Can you imagine how differently history is portrayed in their two homes? The second year I taught 1984 in Bulgaria, it was a radically different experience. I taught it carefully and respectfully, taking the time to ease tensions and promote respectful discussion. It was one of the most powerful experiences I've ever had as at teacher. Lucky I was able to pivot. After teaching in Bulgaria for several years, I returned home to the United States. Hearing that I was "creative," my new school assigned me to advise the journalism class. Though I had no training in any publishing or graphic software, I was advised to "learn from the students" and begin putting out a regular paper to the school right away. I had replaced a beloved journalism teacher, who started the program from scratch (and had, you know, experience and training). He didn't really assign deadlines, instead gathering all the students for late nights right before the paper came out and making them macaroni and cheese to eat as they all stayed up until one in the morning working on the paper. This was not my idea of fun. I'm not a late night mad-dash-to-the-deadline kind of gal. I immediately started trying to systematize the paper, creating various charts and levels of deadlines so that I would not be in the newspaper room until all hours of the night every issue. The students were not a fan of my new system. They loved the macaroni and cheese. They loved the drama of the late night hours. Slowly, slowly, I began to see where they were coming from. They were taking journalism for the excitement of the news room. They didn't want another class, they wanted a thrilling adventure, complete with great snacks and a little bit of fame. Though I never really got used to it, I pivoted. While I still asked them to complete articles on deadline, we always wrapped up every issue with big late nights full of food and music. In fact, I went into labor with my first child at two in the morning, just two hours after wrapping up the final issue of the paper before my maternity leave. When I had my baby I fully expected to be back at work in three months. I loved teaching, and I had never even considered staying at home. But then he was born. In retrospect, I think I may have suffered from some postpartum depression, but at the time all I knew was that I felt like I would die if I left him with someone else and returned to work. Still, teaching was a massive part of my identity. Who would I be if I was not a teacher? What would I talk about with other people? How would I use my passion and abilities? 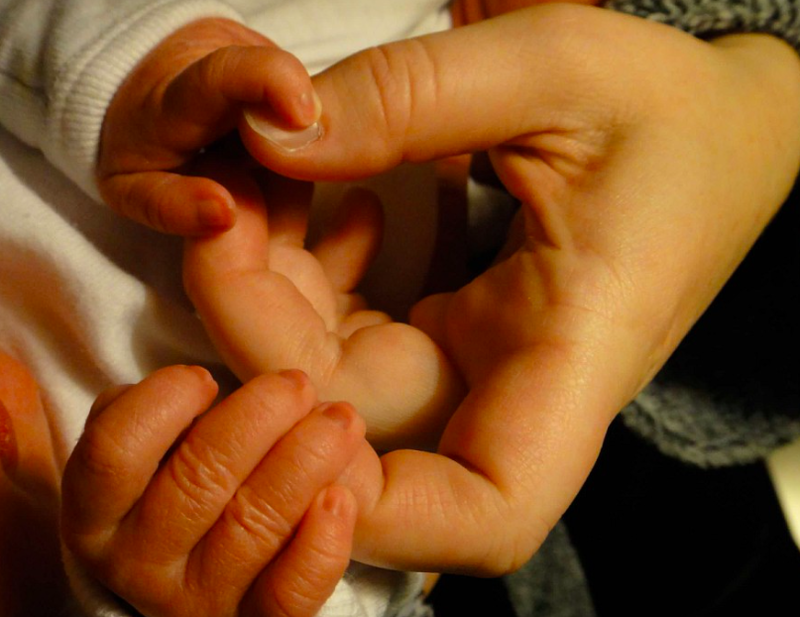 Teaching was who I was, and motherhood was a new ocean I was drowning in. But these tricky questions could not push back the fact that I simply could not leave my son. So I quit my job and plunged into the world of early childhood education. I learned about play spaces, invitations to play, the Reggio Emilia and Montessori methods. I built beautiful wooden toys and constantly requested new stacks of children's books from the local library. I took my son to every children's museum in a two hundred mile radius. Regularly. We listened to kids' audiobooks and had music time together. I learned so much from him and his world. And then I was ready to go back to work. I missed it. So I went back to my school and asked if I could come back part-time. Nope. Though several teachers were overburdened with extra classes, the school was not interested in dealing with a part-time faculty member. Even one who had already worked there, been successful as a teacher and a coach, and even won their new faculty award. My husband was still working there, but both of us were so upset with the school that we decided to leave. We moved to a beautiful school in a tiny Pennsylvania town for a new job for him. Pivot. I went back to work part-part-time there outside the classroom, and had another baby. Pivot. Right after my daughter was born, all the pieces seemed to come together. I could use everything I had learned, in each classroom, in each school, and at home. I would become a blogger. A podcaster. I would start a Facebook group for creative teachers. I would design curriculum. I would continue to work at my school part-time and stay in touch with the needs of students and teachers. I would continue to be with my children while they were tiny. After a whole lot of pivoting, I'm right where I need to be.